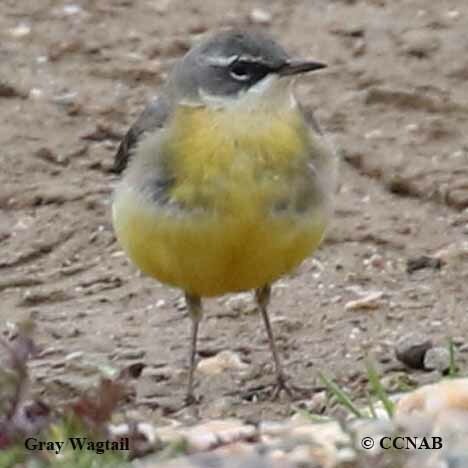 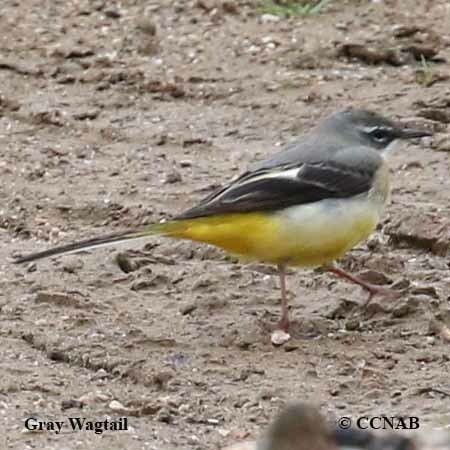 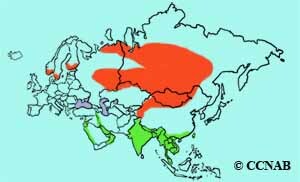 The Gray Wagtail is a bird seen throughout Eurasia. 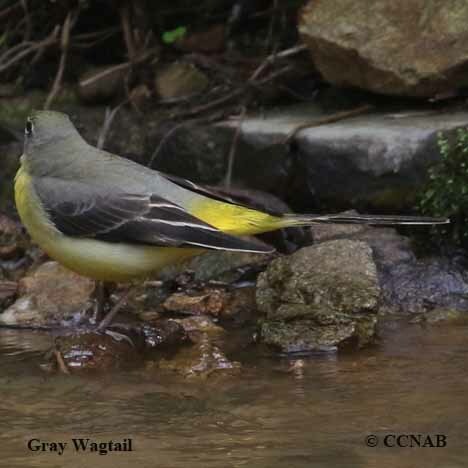 It is usually heard or seen along moving bodies of water. 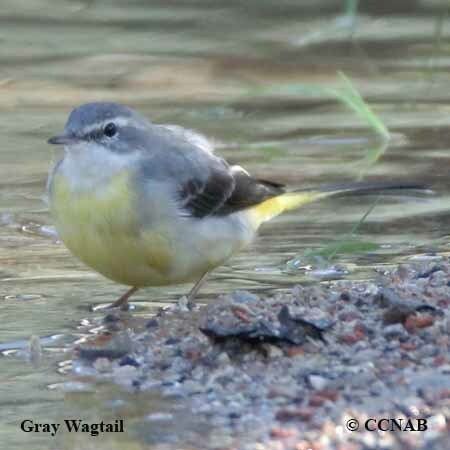 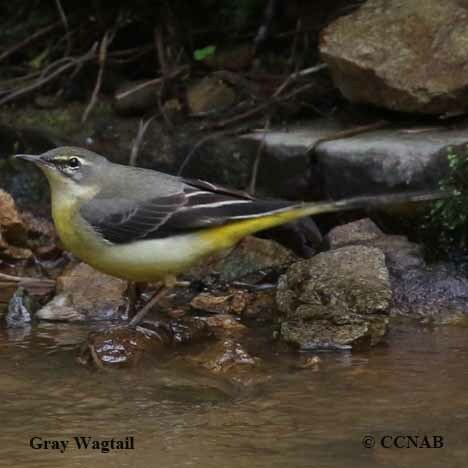 This grey and yellow wagtail displays an exceptly long tail, that is always flipping. 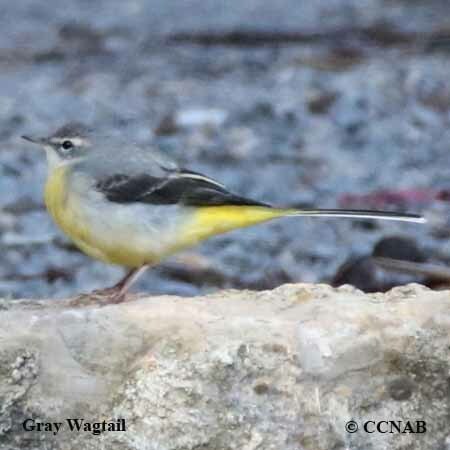 It has been seen in North America, and is recognized as a vagrant bird species listed by the ABA.